This beautiful pair of matching hand painted night lights feature a durable resin build allowing for an intricate, but sturdy design. 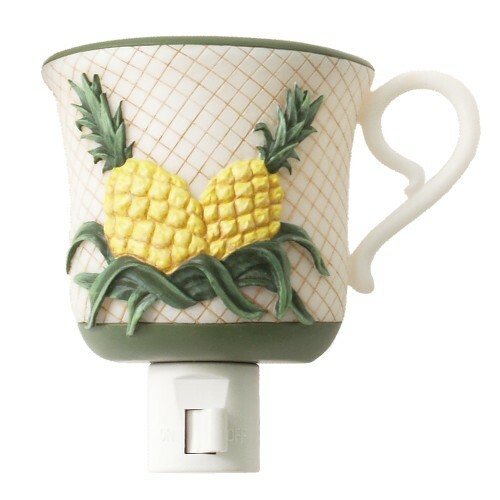 The teacup wraps around the bulb and sits atop a plastic, UL listed plug with an on/off switch. Both night lights include bulbs. Perfect for any room in the house!